Behaviors: Birds were seen on the ground flying and chasing one another and perched on grass stalks, fence posts and fences. Would fly up and then disappear into the grass. 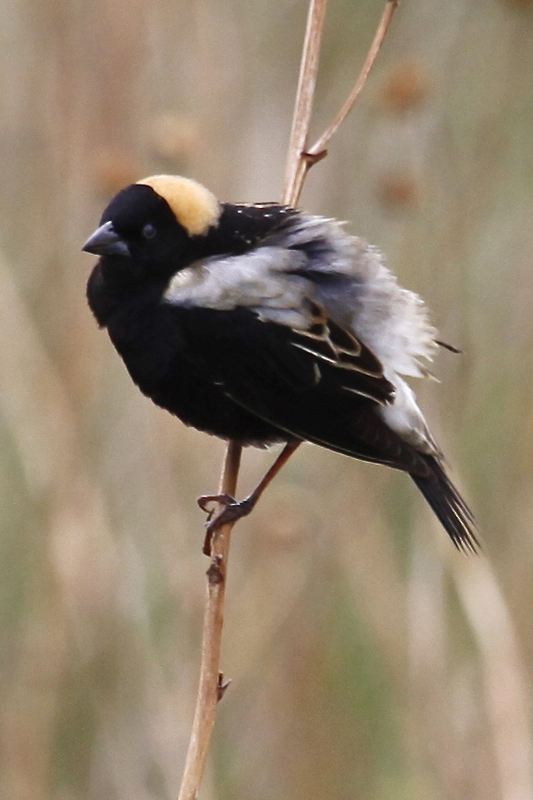 Was seen in the vicinity of Red-winged Blackbirds...quickly eliminated from these because of straw colored nape and lack of orange-red lesser coverts; pale yellowish median coverts. Male Lark Bunting would have white confined to wings. 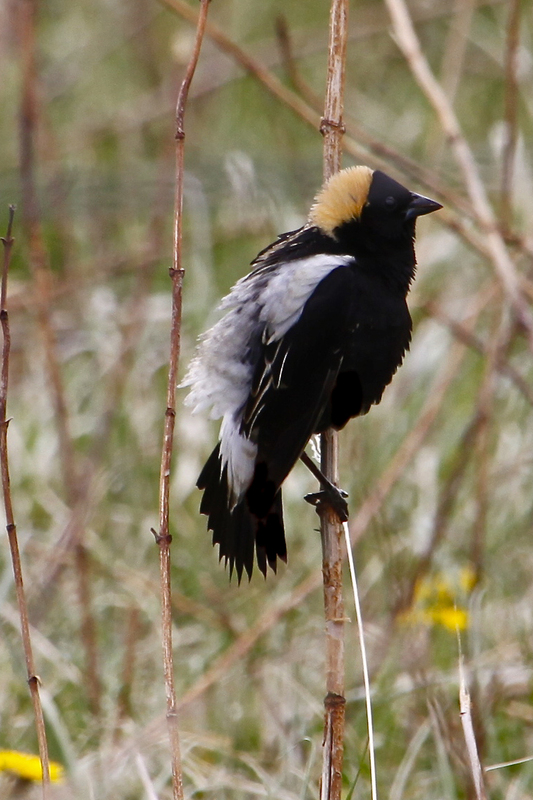 See Red-winged Blackbirds all the time. Have seen Lark Buntings on numerous occasions. Comments: I realize the bird is not the on the state review list. Am submitting record because of the unique location of where they were seen. This far south in the state is unusual.